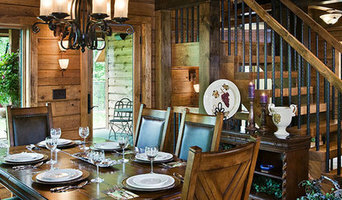 Manufactured in the heart of the Appalachian Mountains in Pennsylvania, Timberhaven Log & Timber Homes is your choice for quality, affordable log homes, log cabins, and timber frame homes. With the most highly trained and skilled professionals in the industry, Timberhaven Log & Homes has an employee average of 22 years experience in the industry. We take great time and energy to make sure that every attention to detail has been met to give you the best value there is in log home living. From cozy to grand in design, our plans and designs embrace energy conservation while keeping the same high quality, stability and longevity that are cornerstones of our company. We specialize in custom design to deliver a truly individual result that is unique. Contact us today to learn more about our unparalleled home packages and services. Beiler Home Builders is committed to providing you a home building experience that you will cherish and enjoy. We understand that building a house is one of the biggest investments that anyone can make. Having been in business since 1982, Beiler Home Builders has the experience to fulfill every need. The owner and president, Sam Beiler, has been working in the building industry since he was 16. He started his career in the construction industry by working as a subcontractor for several other builders. This gave him the experience he needed to become the high quality builder he is today. You can rest assured that Beiler Home Builders will build your custom house to the highest building standards. We only use the subcontractors that meet our strictest quality standards. Not only do we use the finest subcontractors, we ensure that they use only highest quality material to help construct your new house. If you want high quality craftsmanship, a knowledgeable builder with over 30 years of experience, and a relationship with your builder that you will cherish, then Beiler Home Builders is the builder for you. When you start the journey of building a new house with Beiler Home Builders you will not be disappointed. During the construction process of your new home we employ an intensely hands-on approach. We believe it is the only way to assure you the highest quality experience and finished product. We take great pride not only in the house we give over to each client but in the relationship we build with that family and with every person whose hand has touched the project. We also believe in participating in continuing education to help us learn more about the latest in building materials and processes with our peers, both locally and nationally. As a result, we strive to utilize advanced materials with successful track records to provide a durable, maintenance free and energy efficient home or office. As part of our continuing education we maintain NAHB Green Building and Aging-in-Place Specializations, and we are certified installers of Integraspec Insulated Concrete Forms, among other products. Ideally, we become involved in a project before or shortly after the architect is selected. This allows us to give input on cost, scheduling, permitting, materials, considerations of building locations and other issues that can shape expectations and affect the success of the project. We foster as collaborative an effort as possible, offering expertise throughout the design process and suggesting solutions to problems that occur later in the field. Successful building demands effective communication. We hold a weekly team meeting on each project. We also encourage biweekly meetings, either at the site or through conference call, with the owners (at their option) and other relevant parties to review scheduling, costs, change orders, allowances, punch lists and other matters that require discussion. When a building is completed, we offer a two year warranty period and stand by our work. We prefer to remain involved with the property, not just through the warranty period, but throughout the life of the house. We look forward to working with you and building your next home. Founded in 1982 as a custom home builder, our approach today is the same as it was then. Love what you make. Creating homes and living spaces is our passion. Using methodology new and old, unparalleled craframanship, environmentally conscious, and specific personalization within each project is what sets up apart from the rest. Huskins Builders, of Jarrettsville, Maryland, is a fully licensed and insured custom home builder and remodeling contractor. Our coverage area includes Harford, Baltimore and Cecil Counties in Maryland as well as much of Southeastern PA. We focus on creating exceptional homes, additions and remodels without unnecessary waste or hassles. We only use quality products and our craftsmanship speaks for itself. Contact us today for a free consultation and get your building and remodeling projects moving! Always custom, always distinctive, truly yours," is the mission statement of Merv Miller Builder. It appears that it is not just a slogan, but was recently reinforced as a truth when it was announced at the Gala held by the Building Industry Association of Lancaster County where Merv Miller won the Fulton Bank Award for his French Country design home entered in the 2014 Parade of Homes. This is the Millers 4th time winning this prestigious award, along with many other best of show awards as well as remolding awards. The Fulton Bank Award, coveted by the many builders who compete each year in the B.I.A. 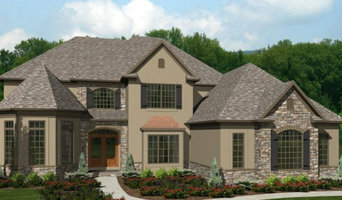 of Lancaster County's Parade of Homes, is presented to the best of the best homes, built especially for that event. Merv Miller started his business in 1972. At that time, in addition to building homes, he also built some commercial structures and farm buildings. He worked in Lancaster and the surrounding counties building homes, but sometimes traveled further for his commercial construction projects. In 1983, Merv decided to specialize in custom home building, and started to design his own home designs. Sometimes buyers come to Merv Miller Builder with plans, and Merv builds from their plans. Mostly, people come with ideas and a wish list, and using his ideas and expertise, Merv builds their dream home. Merv's wife Anna Mae takes care of the company bookkeeping. Merv's son Greg joined the business in 1990 and shares responsibility in the day-to-day operations of Merv Miller Builder. Both Merv and Greg work together on home design and use those skills to enhance the quality and variety of plans they are able to present to a client. Their score of 416 points of a possible total of 418 points for the Fulton Bank Award proves their talent as a team. Both Greg and Merv work hands-on in every aspect of their business. Their personal involvement is very comforting to their clients, as building without personal attention can be a very traumatic experience. Today, Greg Miller does all the drafting for the company, is a construction manager, and Greg and Merv handle the sales together, Merv is enjoying a lighter load with day to day operations, but enjoys locating the house on the lot with the clients, and all excavating duties. While every home we craft is as unique as its owner, some things come standard with all Korey Custom Homes: Architectural integrity Cost effectiveness and value Timely delivery Transparency in the process Exceptional client service Collaborative approach Environmental sensitivity Energy-efficient construction Durability and the assurance that your home will endure Korey Custom Homes is proud to be among northern Maryland’s preferred custom builders for more than fifteen years because of these unwavering standards of excellence. We are only as successful as our clients are happy. Arma-Gesch Building Corp. LLC has been in the Baltimore custom home building industry for over 20 years. Over the years, Arma-Gesch has taken on all sorts of projects ranging from new construction to renovations. Each of our members bring a unique skill set to the table which allows Arma-Gesch to offer its clients the complete package. The most important resource which Arma-Gesch has to offer is its incredible collection of sub-contractors. Every company which works for us is considered the best in its prospective field. Each of our subs hold an incredibly high level of excellence for themselves which directly translates to the end product which we are able to offer to our clients. Arma-Gesch's focus on customer attention, wide ranging expertise and project budgeting have helped put the company on the forefront of the custom home industry in Maryland. Dreams come in many forms and so do our abilities to please your senses. When you take a closer look at Bastian Homes quality, you'll understand what it is that sets us apart from the rest: we don't build cookie-cutter houses, nor will we look for ways to lower the standards which you have come to expect from Bastian Homes. All of the quality and luxury you expect for your new home comes with the Bastian Homes' Standard of Excellence at no extra cost to you. Over the years, for thousands of families like yours, we've built the home they've all been dreaming of. Now it's your turn to have your dream home...and all at a great price, too! In every corner of a Bastian Home, what you see is a reflection of our craftsmanship and our key goal: making each and every family happy with their new home. It's just one of the many ways we attract new families to our new homes. We hope you find yours today! ZNS CUSTOM DECKS & ADDITIONS is a full service remodeling contractor specializing in deck construction, home additions, kitchen remodeling, bathroom remodeling, basement remodeling, patios, siding, windows, doors, and all home renovation projects. We also offer a wide range of green solutions for your home that reduce energy and save you money. 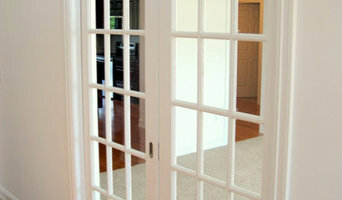 We have many years of experience focusing on quality craftsmanship and take pride in our work. DEH Construction is a family-owned contracting business, employing experienced company crews to facilitate quality engineered commercial, agricultural, equine, and residential structures. Trevor Builders inc. was founded in 1995 by CEO and Owner Roger Mann. During that time, we have built over 100 homes ranging from $100,000.00 to well over $1,000,000.00 in the Baltimore area and surrounding counties. Most of our homes are design build, which means we listen to specific needs of our customers. Our goal is to build the finest quality custom home while providing our customers with a positive experience. We accomplish this by always putting the customer first. We believe the little details matter in every aspect of the building process. We pride ourselves on delivering only the very best custom homes. Apex Homes, Inc. was established in 1990 and has since built over 10,700 quality modular homes throughout the North Eastern States. Our growth has been based on our superior quality; prompt personal attention, and knowing the pride and satisfaction that new home ownership brings. Our reputation for competitive prices, name brand products, beautiful kitchen cabinetry, innovation and customization has lead Apex Homes, Inc. into a position as one of the industry leaders. Our intent is to return to our community and our Creator a portion of that with which we have been blessed. We pledge to provide a quality product and the best possible service at a reasonable price. If the thought of building a new home or remodeling your existing home leads to sleepless nights, take peace in knowing that the construction process can go very smooth and be an enjoyable experience. At Penway Construction, we have been assisting homeowners through the process since 1975 and we are confident in saying that most of our customers would agree that we understand the building process and that we try very hard to make it a good experience. This is not to say that we never make mistakes or have problems, but we do address any situation immediately, make the necessary corrections and we stand behind our work 100%. Specializes in new home construction, renovation or commercial projects, and construction management. Daryl Herr Enterprises is equipped with a dedicated and qualified team of construction professionals who will listen to your wants and needs, and turn your vision into a reality. Daryl and his staff will work to go above and beyond to make sure that all customers are happy long after their contractual work has been complete. Daryl and his team can turn what might seem to be an overwhelming and daunting project, into a smooth, worry-free and pleasant experience. This is why so many of his customers have become repeat clients again and again and also refer him to their friends and family for future building projects, big or small.